New York's history is filled with architects, developers and politicians who have tried and failed to transform the city in dramatic ways. One doe-eyed designer floated the idea of constructing a giant dome over midtown. Another proposal from 1990 aimed to construct a series of giant towers on the Hudson River. Neither of these projects ever came into fruition (obviously), but they can both provide insight as to how present day New York took its shape. This concept is the subject of a new exhibit coming to the Queens Museum this month. 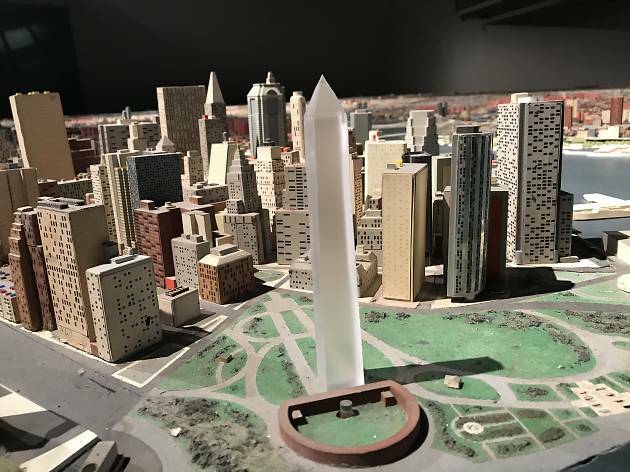 Titled Never Built New York, the museum has pulled together dozens of proposed projects that would have drastically changed the city had they ever been completed. The exhibit will be divided into three parts: the museum's Rubin Gallery will be organized into a layout that mimics Manhattan with scale models of projects like Steven Holl’s Parallax Towers (alluded to above) and an alternate design for Central Park inspired by the gardens of Versailles; the museum's long-standing Panorama of the City of New York display will get 70 new additions to show viewers what the city would have looked like if all of the exhibit's projects had been completed; and a third display will focus on projects that were specifically intended for Flushing Meadows Corona Park. 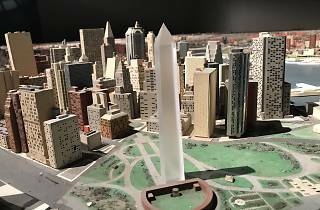 Never Built New York is set to run from September 17 through February 18, and the museum will be hosting a panel discussion on the exhibit on October 29. You can find more information at the museum's website, and check out photos from the exhibit below.